“They keep them in a state of anger and confusion so they can use them for their personal gain,” Peterson said. Other named “race hustlers” are President Barack Obama, the NAACP, many black preachers, Rev. Jesse Jackson, Louis Farrakhan and more. As new polls show record numbers of blacks surprisingly supporting the Republican nominee for president, Peterson said many blacks like Trump’s courage, his authenticity in speaking and his independence. He is also a Trump fan. “Can you imagine a bunch of people shouting, ‘What do we want? Dead cops! When do we want them? Now!’ and then people go out and start killing cops, and Barack Obama still accepts these people?,” he said, speaking of the chants heard at Black Lives Matter events. Despite living under Jim Crow laws, Peterson was never taught to hate white people. Instead he remembers being guided to treat people as they would like to be treated. In this video, Peterson details his path from Jim Crow times, to feeling angry with whites, to his personal transformation that gave him “perfect peace” 28 years ago. Then, he asked God to forgive him for being a Democrat, he said. When he became a conservative Republican, “that’s when all hell broke loose, because it’s easier to be a member of the KKK than it is to be a black conservative Republican,” Peterson says. He started the organization BOND to help black families and black men without getting one dime from the government. 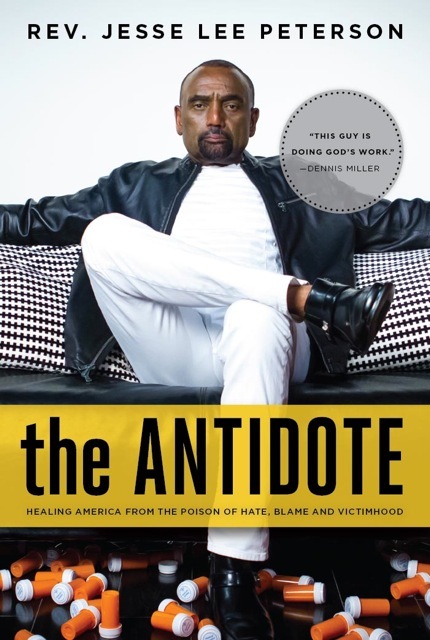 For more information on Peterson, you can get his book, “The Antidote: Healing America from the Poison of Hate, Blame and Victimhood.” His Facebook for his talk radio station is here or follow him on Twitter @JLPtalk.